Continuing your education while you are working is made easy with the Methodist College RN-BSN program. This program is conducted entirely online and enables practicing nurses who have passed the NCLEX exam to obtain a Bachelor of Science in Nursing. The Methodist College RN to BSN program, is designed with 30 credits of nursing courses that expand the nurse's knowledge in several areas, including leadership, evidence-based practice, and population health. The degree is designed to provide the maximum flexibility for students while, at the same time, maintaining the requirements for students to earn a Bachelor of Science in Nursing degree. The RN to BSN program allows licensed registered nurses, who earned their nursing education credentials through an accredited diploma program or associate degree program, to take courses to earn a bachelor's degree in nursing. Students will be able to transfer up to 90 of the total 120 credits required to complete a Bachelor of Science in nursing degree. Students who have fewer than the 90 credits to transfer may need to take additional elective courses in order to fulfill the 120 credit requirement. The RN-BSN program adheres to nationally-recognized best practices and the highest standards of quality in online education. We internally review each course thoroughly to ensure quality, and our instructors receive intensive training on teaching in an online environment. Courses include content recommended by the Institute of Medicine and the essentials of a baccalaureate education from the Association of Colleges of Nursing. The baccalaureate and master's program in nursing are accredited by CCNE. Study and work when it is convenient for you. All work is done online, with no required face-to-face sessions. Arrange your practicums to match your schedule and achieve your goals. You can complete this program anywhere, even outside of Peoria. You can transfer up to 90 of the total 120 required credits for the Bachelor of Science in Nursing degree. 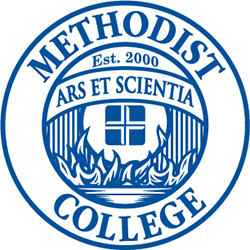 Financial assistance is available for those who qualify, and Methodist College works with employers who offer tuition reimbursement. Learn about admission requirements for this program. APPLY to the RN to BSN program. For more information, please call 309-672-5513. If you are a full-time nurse employed by UnityPoint Health, contact UnityPoint Health Human Resources department at your location about applying for the tuition reimbursement/deferment program.